Ireland and the Politics of Change provides a timely assessment of the fundamental changes that have occurred in Irish society over the last several decades from the standpoint of their political significance. There is a particular concern with the leadership role of government and other political institutions in stimulating, managing and responding to the changes taking place that are of fundamental importance to understanding contemporary politics and today's Ireland in the world community. Considerable social, economic, demographic and international change has taken place within Ireland (and Northern Ireland) and without in relation to the rest of the world, and particularly in response to the association with the European Union. 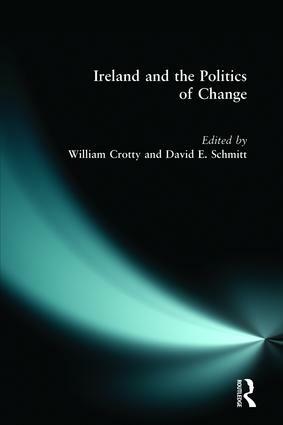 Ireland and the Politics of Change examines institutional developments, economic forces, demographic and attitudinal profiles and group-based (religious, gender, class) concerns as they have evolved and assesses their significance for policy enactment and political representation.